Whether you need 250 animals trained and ready for a robotic milking parlour, or a few grazed dairy cows to supplement a smaller-scale herd, get in touch with Global Cattle Exports today to discuss your needs. Many local farmers send their trainee herd managers with us on cattle-buying trips. They know that their cattlemen and women will benefit from being with our experts, that they’ll learn how to spot those cows that are likely to be healthy, high-yielding dairy cattle for the long term. So not only do you get the best Holstein cows for your herd, your herdsmen benefit from expert training. Call us on +44 (0) 1524 60646 for more information. 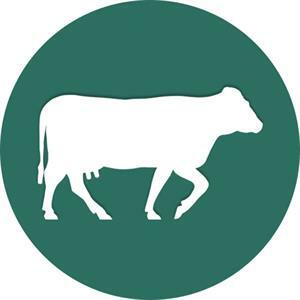 Other customers trust us to source their dairy cows for them, knowing that we’ll select the ones that are best suited to their particular dairy operation. If you’re thinking of switching to a robotic milking parlour, we can help you source cattle that are used to a similar system and know how to access the clusters when they need them. Naturally, all your animals’ paperwork, passports and pedigrees will be in order when they arrive on your farm. Global Cattle Exports are experienced importers of dairy cattle and we’ll take care of all the details for you. Our process couldn’t be simpler, and our service couldn’t be better. Contact us today. Offering a high level of service to our farming customers, using no middlemen. Naturally, all your animals’ paperwork, passports and pedigrees will be in order. Our customers trust us to source their dairy cows for them, contact us now.